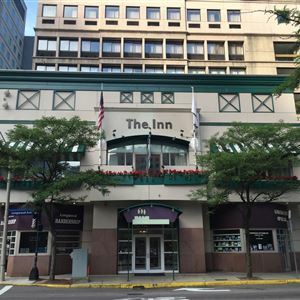 Property Location With a stay at The Inn at Longwood Medical in Boston (Fenway–Kenmore), you'll be minutes from Dana-Farber Cancer Institute and Beth Israel Deaconess Medical Center. This hotel is close to Boston Museum of Fine Arts and Fenway Park. Rooms Make yourself at home in one of the 155 air-conditioned rooms featuring LCD televisions. Complimentary wireless Internet access keeps you connected, and cable programming is available for your entertainment. Private bathrooms with shower/tub combinations feature designer toiletries and hair dryers. Conveniences include desks and coffee/tea makers, and housekeeping is provided daily. Amenities Take advantage of recreation opportunities such as a fitness center, or other amenities including complimentary wireless Internet access and concierge services. Additional amenities at this hotel include shopping on site and complimentary use of a nearby fitness facility. Dining Satisfy your appetite at the hotel's restaurant, which serves breakfast, lunch, and dinner. Dining is also available at a coffee shop/café, and room service (during limited hours) is provided. Quench your thirst with your favorite drink at a bar/lounge. Business, Other Amenities Featured amenities include a 24-hour business center, express check-in, and express check-out. Event facilities at this hotel consist of a conference center and meeting rooms. Self parking (subject to charges) is available onsite. 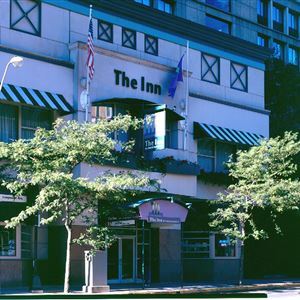 With a stay at The Inn at Longwood Medical in Boston (Fenway–Kenmore), you'll be minutes from Dana-Farber Cancer Institute and Beth Israel Deaconess Medical Center. This hotel is close to Boston Museum of Fine Arts and Fenway Park. Make yourself at home in one of the 155 air-conditioned rooms featuring LCD televisions. Complimentary wireless Internet access keeps you connected, and cable programming is available for your entertainment. Private bathrooms with shower/tub combinations feature designer toiletries and hair dryers. Conveniences include desks and coffee/tea makers, and housekeeping is provided daily.